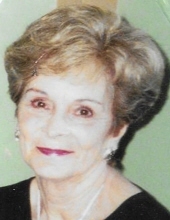 Mary Vinson Jackson Prescott, 85, of Grand Bay, AL, passed away on Sunday, December 2, 2018 in Pascagoula, MS. Mary was born on March 16, 1933 in Tupelo, MS to the late Richard H. and Mildred Barber Vinson. Mary worked in the banking industry for many years, as well as an interior decorator. She was a strong woman of faith and was a member of Grand Bay Community Church. Her wit and sassiness will be forever missed by all who knew her. In addition to her parents, Mary was preceded in death by her husband Dale B. Prescott and her son, Jeffrey Scott Jackson. Mary is survived by her children, Terry (Melanie) Claunch, Jacki (Michael) Martin, and Donna (James) Hart; grandchildren, Dana (Ryan) Scott, Derek Leeman, Jessica (Shaun) Parker, Daniel Dumas, and Jared Hart; fourteen great-grandchildren; one great-great-grandchild; siblings, Horace (Ann) Vinson, Tommy (Rose) Vinson, and Steve (Myra) Vinson; lifelong friend, Juanita Dority; along with numerous nieces, nephews, other family, and friends. The visitation for Mary will be held on Wednesday, December 5, 2018 from 10:00 a.m. until 12:00 p.m. at Heritage Funeral Home in Escatawpa, MS. The funeral service will follow in the funeral home chapel beginning at 12 noon with her brother, Tommy Vinson and Bro. Terry Ragsdale officiating. Private interment will be held at Mobile Memorial Gardens Cemetery in Mobile, AL. To send flowers or a remembrance gift to the family of Mary Vinson Prescott, please visit our Tribute Store. "Email Address" would like to share the life celebration of Mary Vinson Prescott. Click on the "link" to go to share a favorite memory or leave a condolence message for the family.